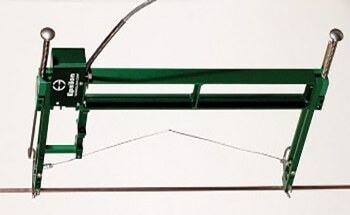 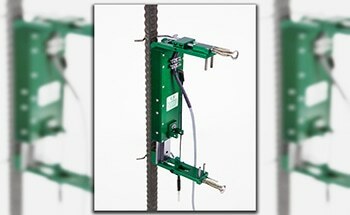 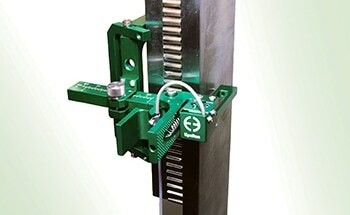 The Model 3442AVG is an all-purpose averaging axial extensometer which is used in compression or tension in order to measure Young’s modulus, offset yield, and strain to failure. 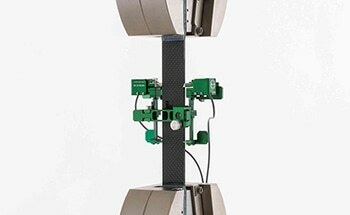 It is both lightweight and compact. 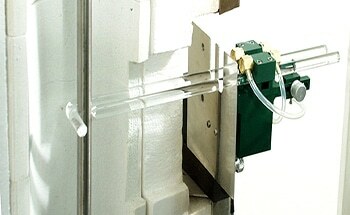 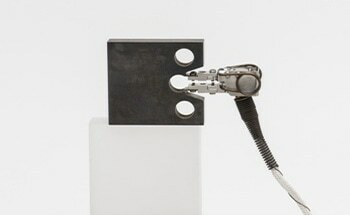 Fast specimen mounting is ensured by an automatically set gauge length. 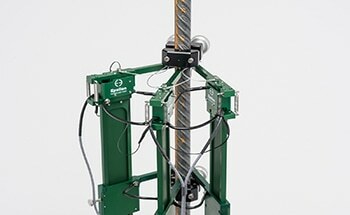 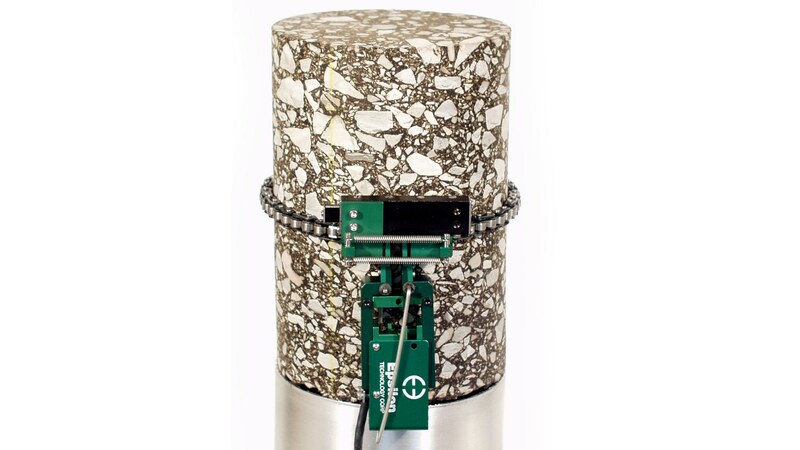 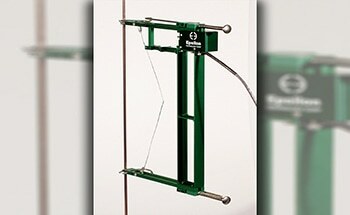 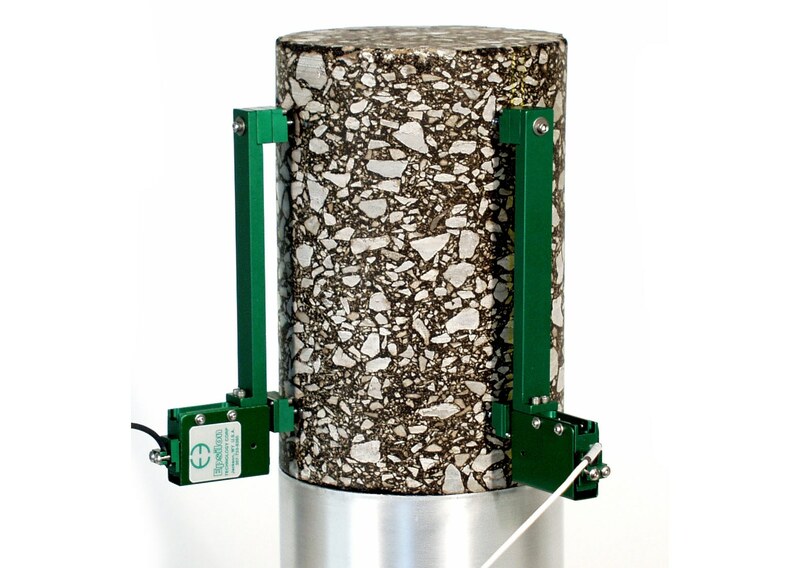 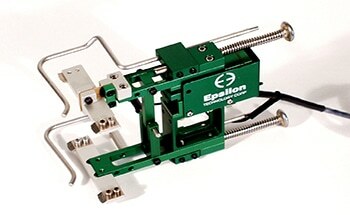 This model is optimized for incredibly accurate compression and tension testing. 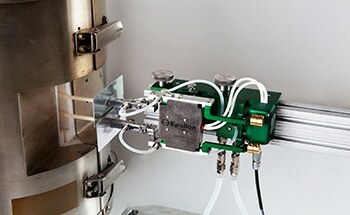 It can average out specimen misalignment while measuring axial strain by measuring strain simultaneously on opposite sides of the specimen. 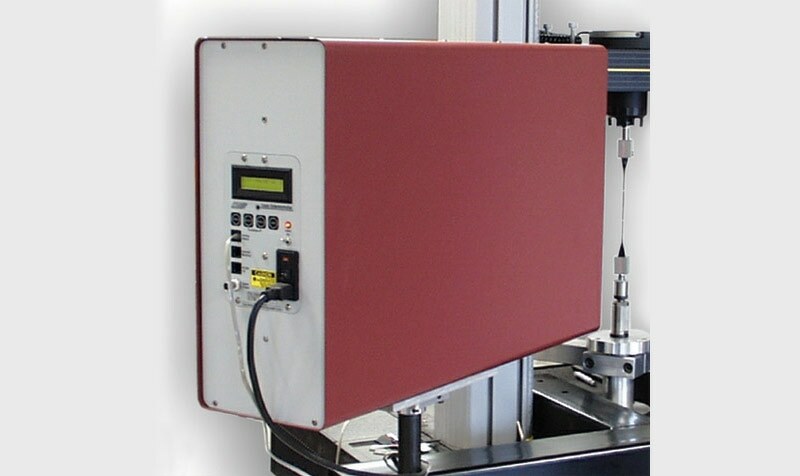 This averaging trait is particularly useful when measuring Young’s modulus per ASTM E111, compression of metals per ASTM E9, and properties of composite materials per ISO 527 and ASTM D3039. 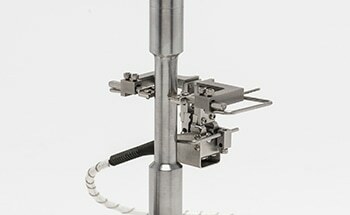 Usable through specimen failure with the majority of materials, the Model 3442AVG is compact and lightweight. 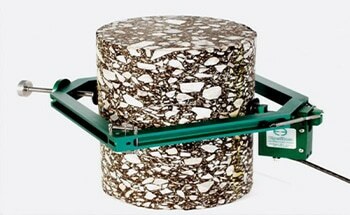 It is also fatigue rated and able to be used in strain control. 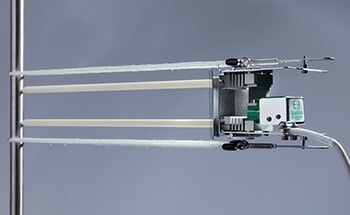 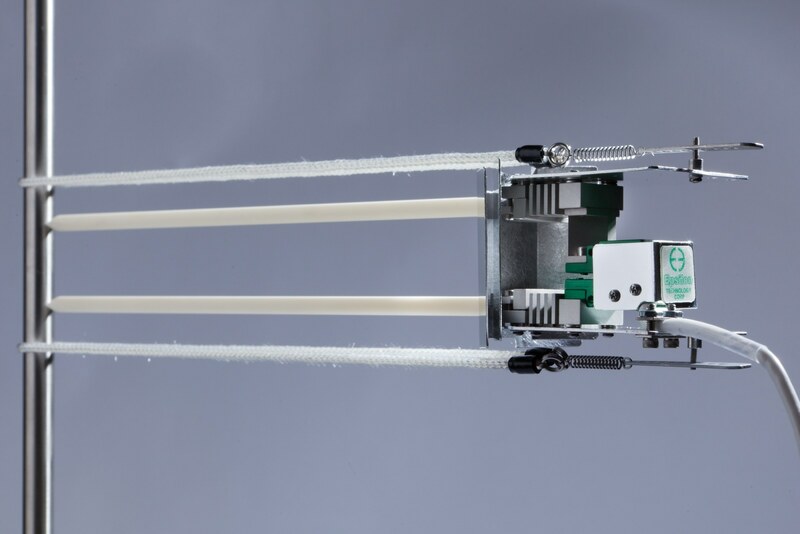 When mounted on the specimen, the extensometer automatically sets its gauge length, a feature which reduces operator errors, improves repeatability and saves time. 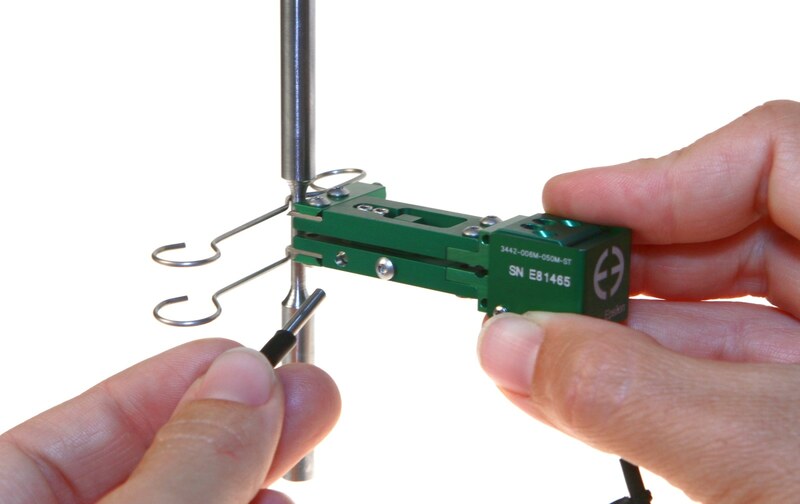 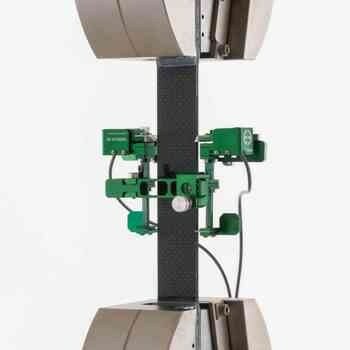 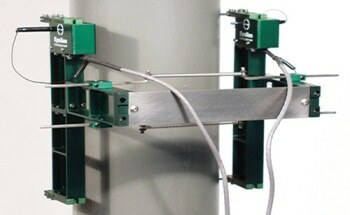 After mounting the extensometer it will be at its gauge length and ready for testing. 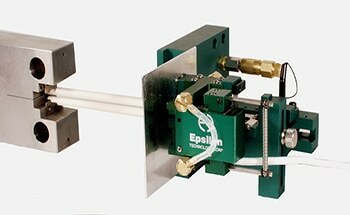 There are two ways of configuring the extensometer’s output. 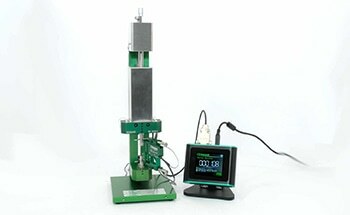 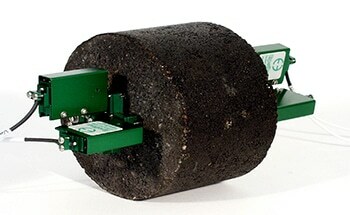 The first is by using a single output for average strain measurement. 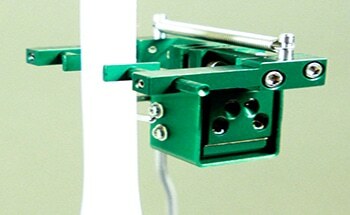 The second is by using separate outputs in order to measure strain separately on opposite sides of the specimen using two strain channels. 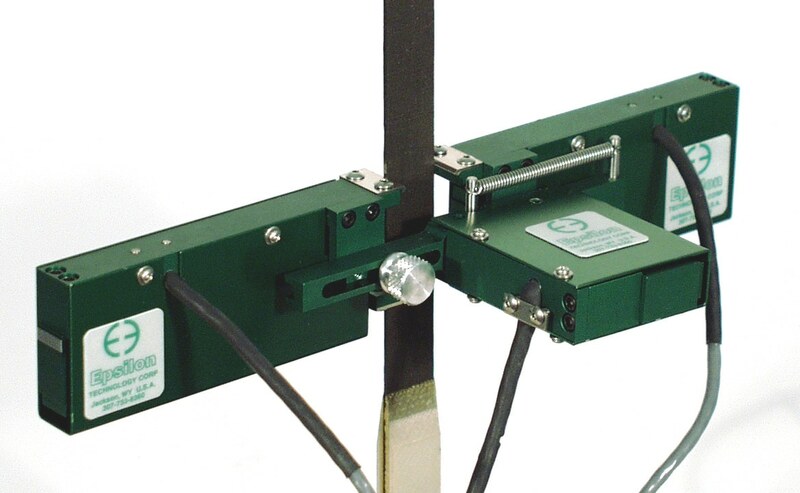 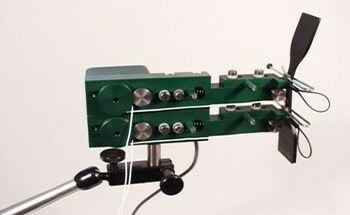 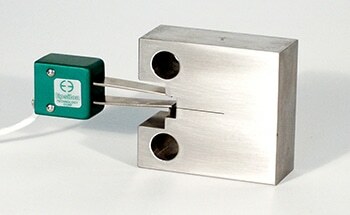 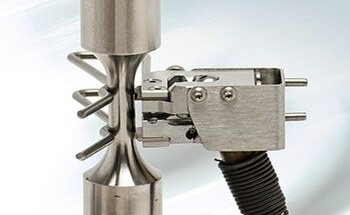 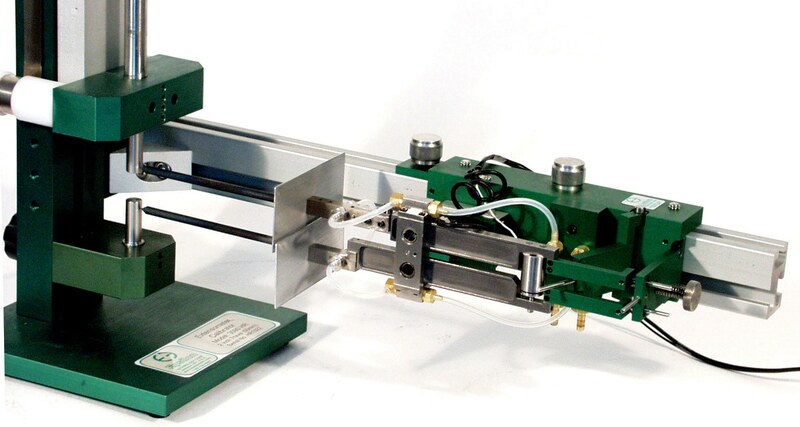 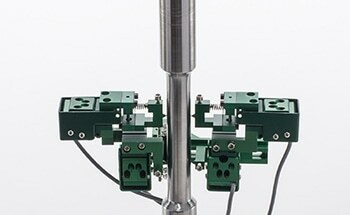 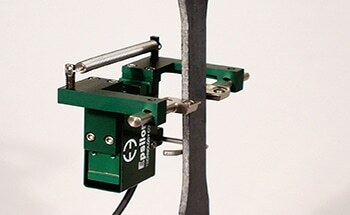 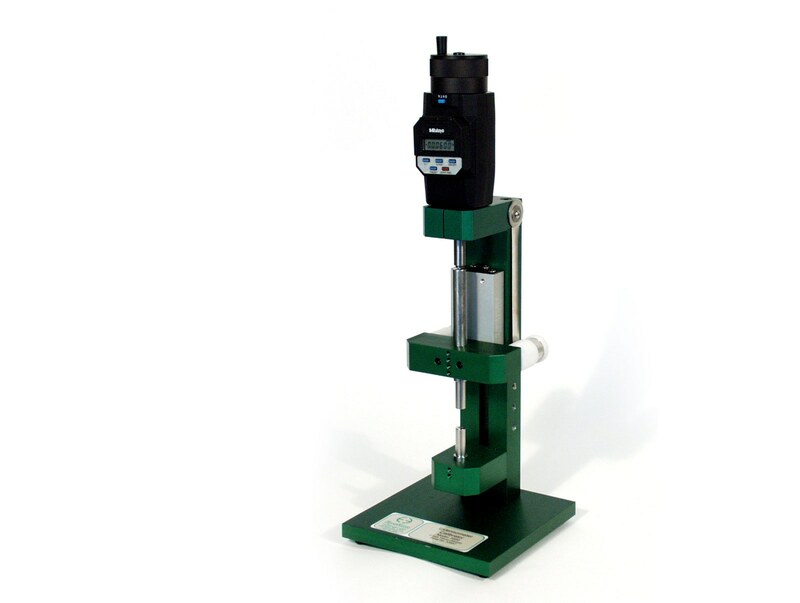 It is possible to use the configuration with two outputs either during the test setup or during the test, in order to measure specimen bending (strain uniformity) caused by specimen machining imperfections or misalignment. 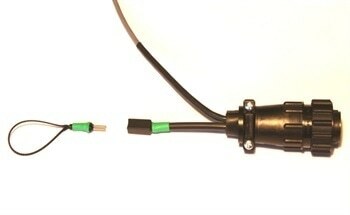 The 3442AVG’s compact size means that it is not compatible with transverse extensometers. 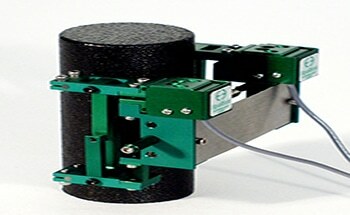 This model can be used together with a transverse adhesively bonded strain gauge in order to measure Poisson’s ratio. 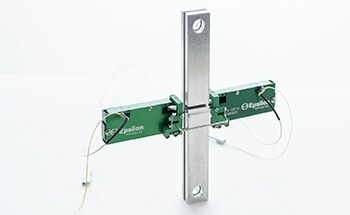 Alternatively, other extensometers such as Model 3542 together with Model 3575, or Model 3560BIA, can be used. 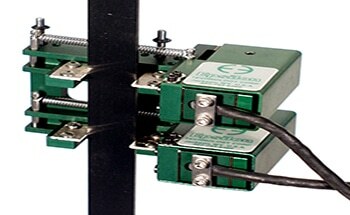 Model 3442AVG extensometers are compatible with all electronics which are designed for strain gauged transducers, as they are strain gauged devices. 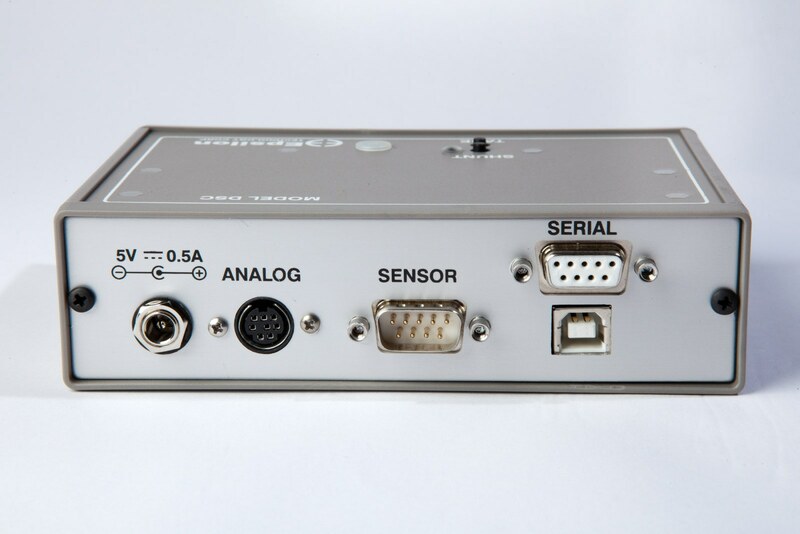 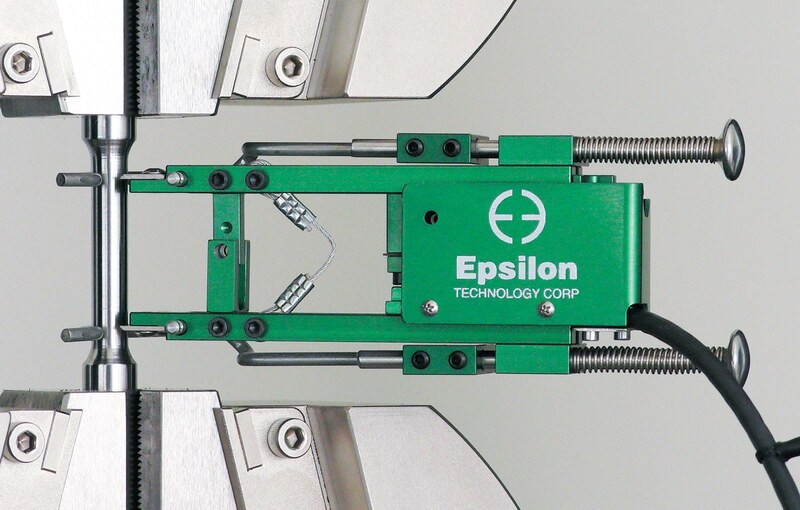 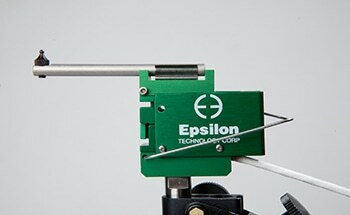 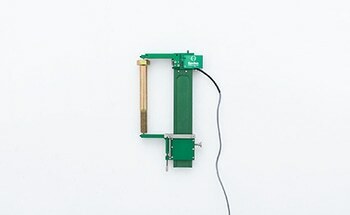 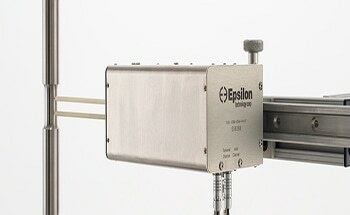 Usually, they are connected to a test machine controller, and the extensometer is equipped with a compatible connector wired to plug directly into the controller by Epsilon. 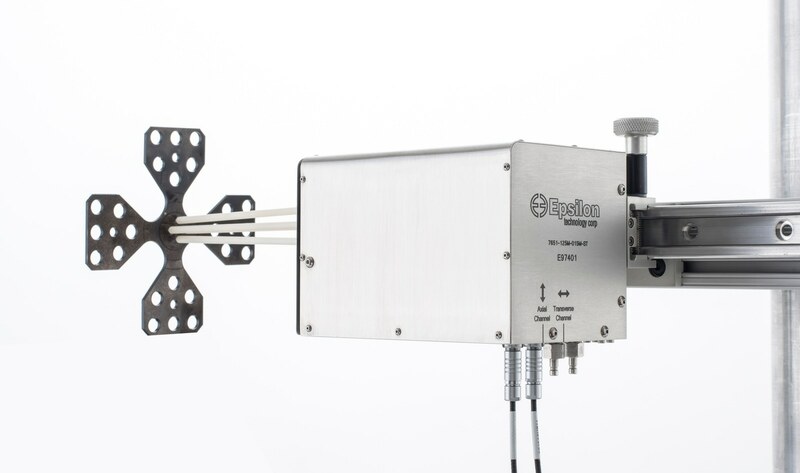 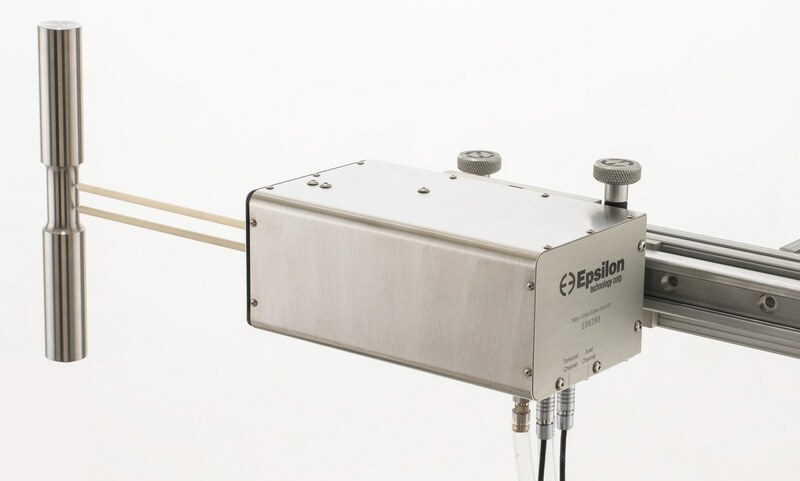 Epsilon can provide various solutions for signal conditioning and connection to data acquisition systems (or other equipment) for systems which do not have the required electronics.